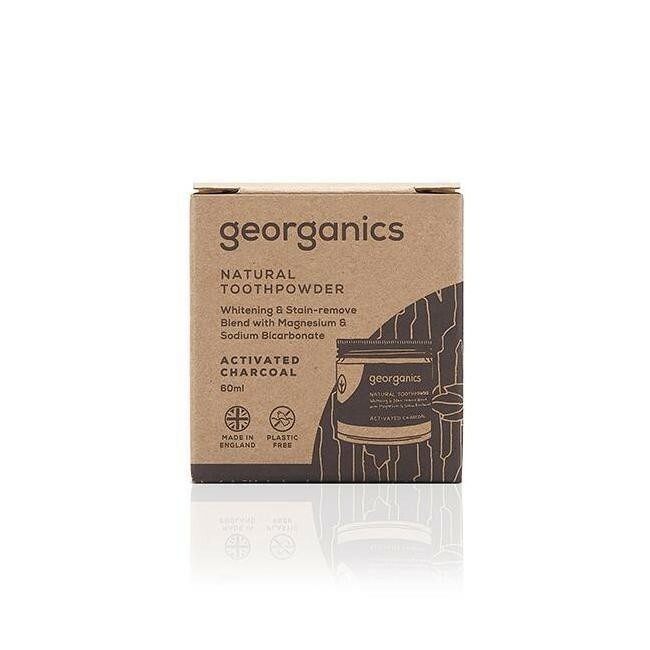 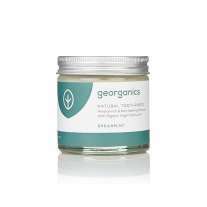 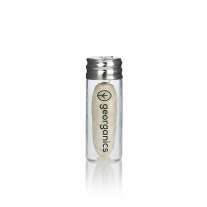 This whitening toothpowder from Georganics is made with fine grade activated charcoal, a natural and non-toxic powder. The powder works by absorbing stains and plaque that naturally occurs on teeth and gently polishes to restore and maintain the natural whiteness of your teeth. 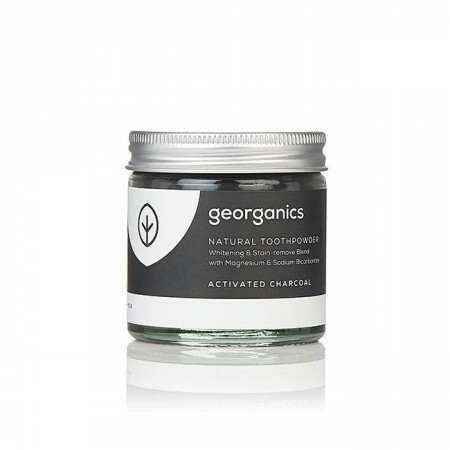 Made without any synthetic chemicals like fluoride or flavourings, this toothpowder is completely safe to use and is perfect for use once or twice a week or as a replacement for your usual toothpaste. 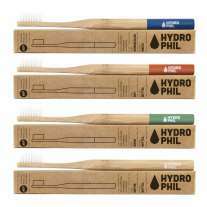 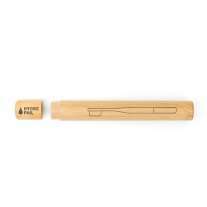 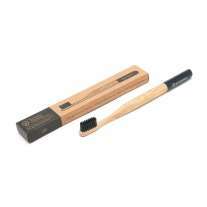 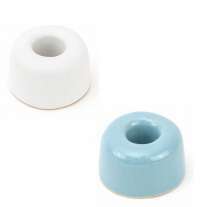 Simply dip your wet toothbrush into the powder and brush for 2 minutes to naturally restore your teeth's whiteness. 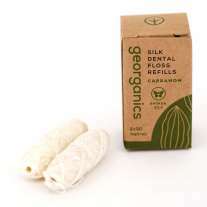 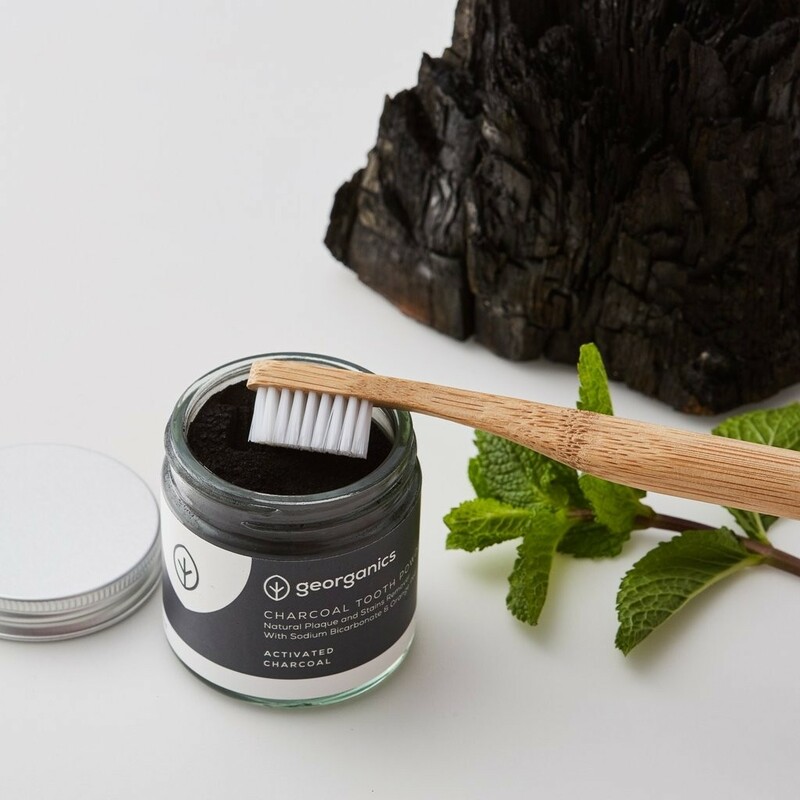 Georganics products are all plastic free, and this toothpaste comes in a glass jar which is widely recyclable, the box is made from compostable craft paper and uses vegetable ink - ideal for the eco-conscious family looking to further reduce their plastic use. 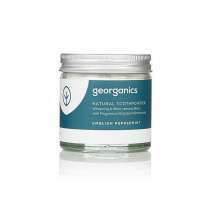 Sodium Bicarbonate^, Charcoal Powder*^, Diatomaceous Earth*^, Magnesium Carbonate^, Dicalcium Phosphate^, Tartaric Acid^, Mentha Arvensis Herb Oil*^, Foeniculum Vulgare Oil*^, Citrus Reticulata Peel Oil*^, Tocopherol^.